Do you have great customer service skills, project management prowess, and produce quality work? Be part of our growing company! An industry leader in print distribution, marketing services and print management is currently seeking an Account Manager to join a winning team! This St. Louis-based position will be responsible for providing exceptional customer service and account management to our customer base as well as working closely with our sales executives. Provide exceptional customer service to internal and external customers. Manage and review all customer reports. Assist Account Executive (AE) in customer business reviews. Review invoicing for all program pricing items and review billing summary (if applicable). Assisting AE on special projects by coordinating with vendors. Establish and maintain strong vendor relations. Vendor management – Research and develop solutions for customer. Assist AE in identifying new sales opportunities within existing accounts. Meet with customers off-site as required to pick up jobs, discuss projects, and solve any issues. Effectively manage all on-going projects for customer base. Coordinate and manage the execution of comprehensive programs and web-to print site builds, as well as managing existing web-to-print sites. Coordinate promotional product needs with RBO Promo Department for sourcing, pricing, and samples. Assist with customer support associate and specialist position responsibilities when necessary. The ideal candidate should be an excellent communicator and be highly motivated and energetic. Familiarity with web-to-print solutions is a plus. A successful candidate should be knowledgeable about the account management and customer service environment, be comfortable at following an established process and be willing to increase efficiencies within the process. The ideal candidate should be detail-oriented and able to follow through. Print and/or Promo experience required. 3+ years of account management/customer service experience. Print distribution environment a plus. Ecommerce experience is a plus. Promotion Products experience is a plus. Highly organized and ability to multi-task at a high level. Ability to work in a team-oriented environment, with an emphasis on collaboration and flexibility. An industry leader in print, marketing services and print management is currently seeking a Customer Support Specialist to join a winning team! This St. Louis-based position is looking for an individual with industry knowledge. The Customer Support Specialist will assist the customer support team with a variety of tasks that require excellent communication and organizational skills. The ideal candidate is a personable and conscientious individual who acts as a support contact for both external and internal customers. any questions the customers may have. Demonstrate superior communication skills (both written and verbal). Responsible for submitting, reviewing and maintaining artwork. Manage vendor production and delivery process of orders. Assist with inventory management – receiving and/or editing inventory levels. Order management of E-commerce sites. Product management – inventory levels, cost/sell values and applicable images. Assist Account Executive (AE) or Account Manager (AM) with projects and customer communications. Responsible for matching invoices for open orders. Build knowledge of product lines and capabilities. Minimum of 1-3 years of print/promo experience. Ability to multi task at a high level. A demonstrated ability to work in a team-oriented environment, with an emphasis on collaboration and flexibility. We are looking for an exceptional candidate who is eager to evolve from an everyday designer or production artist into a project leader. This candidate will be required to create and support technical solutions for a range of mid- to enterprise-sized businesses. 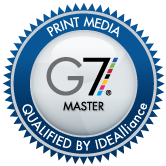 This team member will use technology and creativity when providing print, promotional, and e-commerce results to our clients. They will also be responsible for working with our internal sales and customer service team, prospective customers, existing customers, and partners to create superior solutions from a graphic design and technology solutions standpoint. If you are currently in a senior or lead design role and would like to apply, please explain in a cover letter why you are interested in taking this junior but aspiring position. This position will require the selected team member to begin with a heavy print production workload with some creative opportunities. From there, you will have the opportunity to grow your role into an application and marketing specialist as determined by the needs of company. This candidate will have opportunities to assist with company marketing initiatives such as collateral creation, video marketing, campaign building, content development, online storefront development, variable design, digital design, and will be expected to become inbound marketing certified in Hubspot. Join our Creative Technologies team and help us implement client identity with precision, execute brand management with technological expertise, refine processes with business logic, and oversee complex projects for customers. Receive incoming requests into project management system and confirm job needs. Monitors and tracks projects to ensure proper and timely completion in a cost-effective manner. Works with various clients to interpret and translate their expressed needs and ideas into concepts, then develops them into effective design and technology solutions that meet their needs. Maintain superior knowledge of each clients’ logos, graphic standards, likes, dislikes and budgets. Prioritize projects in order to meet appropriate turnaround requirement for project. Follows and contributes to written policies/procedures for quality assurance. Daily maintenance and support of existing online storefronts. Works with supervisor and team members to provide professional recommendations for concept, design, and production involving design and technology solutions. Assists with the development and execution of internal marketing campaigns. The Junior Graphic Designer will, under supervision and adhering to established procedures for execution, quality assurances, and client’s branding guidelines, provide solutions that blend design, technology, and strategy. Analytical – Comprehends complex or diverse information; Collects and researches data; Uses intuition and experience to complement data; Designs work flows and procedures. Planning/Organizing – Prioritizes and executes work activities assigned by supervisor; Uses time efficiently; Uses best project management practices. Quality – Demonstrates accuracy and thoroughness; Has an eye for details; Looks for ways to improve and promote quality; Applies feedback to improve performance; Reviews own work to ensure quality. Dependability – Follows instructions, responds to management direction; Takes responsibility for own actions; Keeps commitments; Takes initiative in accepting projects and completing them; Completes tasks on time or notifies appropriate contact with an alternate plan. Verbal/Nonverbal – Convey easily and quickly any instructions or messages; Speaks clearly and persuasively in positive or negative situations; Listens attentively and seeks clarification; Responds well to questions; Maintain professional nonverbal communication appropriate to situation. Written – Writes clearly and informatively with a high level of sophistication; Varies writing style to meet needs; Presents numerical data effectively; Able to read and interpret complex written information.